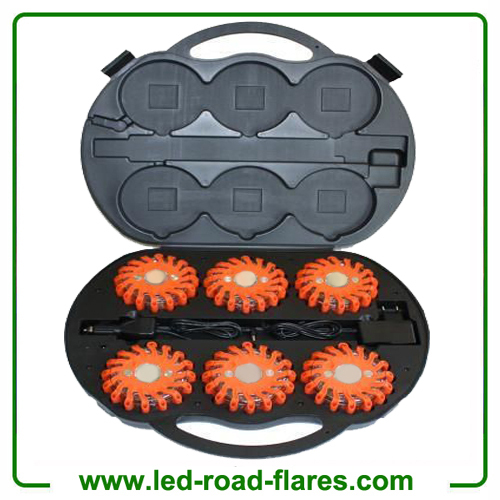 China Led Road Flares factory, supplier manufacturer,offering 6 Packs Rechargeable Led Road Flares Red and Single Pack Rechargeable Led Road Flares Kits Red. Do you want to get a sophisticated type of lighting system to use in your vehicles? Do you want to avail of a lighting fixture that gives dazzling lights in your party venue? If yes, you should definitely try out for flare lights powered by LED. LED flare or strobe light is innovative yet advanced devices that performs varieties of essential functions and at the same time, consumes less possible power supply. In other words, products available in the form of LED road flares are of simplest possible light strobes, which come in the market in laced forms with about 1Watt of LED lights and in varieties of colors, like red, blue, green, gray and amber. 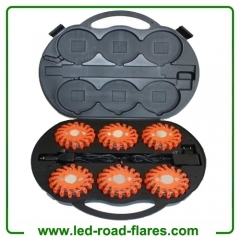 Particularly, individuals have availed plenty of advantages by using flares designed with LED on various roads. LED flares and strobe lights offer two important yet distinct features to individuals, as compared to any other traditional forms of lighting systems. These are usually found in various types of emergency vehicles. Flexibility is the prime strength found in these products. Kits installed in these flares or lighting systems include varieties of mounting brackets, all of which intend to deliver highest possible chances related to mounting of brackets and other similar products at proper angles. After this, LED road flares mainly come with dazzling flashing patterns. As per the opinion of experts and technological professionals, products designed with LED perform their functions at the highest possible speed that is approximately equal to the operational speed of lasers. In addition, a user may get maximum 15 flashes within a second. Based on the countless interesting features possessed by LED flares, individuals would choose for these products to install in various cop vans, ambulances, on jam roads, highways, national highways and many more. In addition, you will be able to find applications of LED flares in fire engines, party venues and several other places. Particularly, people would not deny the importance of aforementioned lighting systems when motorists, vehicle owners and car drivers have to act very cautiously to make sure of safety of both human lives and vehicles on roads. Along with this, the flare products or strobe lights powered by light emitting diodes in almost every sector and spots, where people need application of dazzling or high luminous intensity of lights to entice their friends, fellow members, relatives and so on.